Background/Purpose: To investigate the local inflammatory activity of the synovium by using dynamic magnetic resonance imaging (MRI) and cartilage biochemical composition of the MCP-joints 2 and 3 by using Delayed Gadolinium-Enhanced MRI (dGEMRIC) in patients with early rheumatoid Arthritis (eRA) treated with methotrexate. Methods: MCP joints 2 and 3 of 28 patients with early RA (disease duration ≤ 6 months) were examined prior to methotrexate (baseline) as well as 3 and 6 months after the therapy-initiation. MRI perfusion parameters and dGEMRIC index were calculated. OMERACT RA MRI score (RAMRIS), including synovitis, bone marrow edema (BME) and erosion subscores, and clinical parameters (CRP and DAS28) were registered at all of the time points. Results: Local perfusion in dynamic MRI decreased significantly after initiation of methotrexate-therapy and correlates significantly with the DAS28 improvement after 3 months (p < 0.05). The extent of local inflammation significantly correlated with dGEMRIC values at all of the time point’s evaluated (p < 0.05). Local inflammation and cartilage composite measurements showed significant correlation with BME subscore after 3 months and with RAMRIS and erosion subscore in the after 6 months (p < 0.05). Conclusion: In patients with eRA, synovial local hyperperfusion measured by dynamic MRI correlated significantly with the local cartilage compositional and decreased significantly 3 and 6 months after initiating of methotrexate-therapy. Dynamic MRI seems to be a useful parameter for assessing therapy-success, since DAS28 and RAMRIS showed significant correlations. This is the first study showing that methotrexate is able to delay cartilage loss and underlines the priority of early treatment. Figure 1: Overlay of native T1 image of digitus 2 and 3 with a color-coded map of dynamic MRI from blue – low perfusion to red – high perfusion of MCP D2 and D3. Picture A demonstrates the perfusion of MCP joints at baseline MRI prior to MTX therapy, while pictures B and C show the perfusion 3 and 6 months after MTX therapy. In this example, we found higher perfusion after 3 and 6 months compared to baseline MRI for both MCP joints. Disclosure: P. Sewerin, None; A. Mueller-Lutz, None; M. Schneider, None; C. Schleich, None; B. Ostendorf, None; S. Vordenbäumen, None. Sewerin P, Mueller-Lutz A, Schneider M, Schleich C, Ostendorf B, Vordenbäumen S. Dynamic MRI in Rheumatoid Arthritis for the Assessment of Synovitis Promoting Cartilage Loss [abstract]. Arthritis Rheumatol. 2018; 70 (suppl 10). 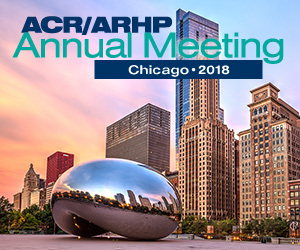 https://acrabstracts.org/abstract/dynamic-mri-in-rheumatoid-arthritis-for-the-assessment-of-synovitis-promoting-cartilage-loss/. Accessed April 20, 2019.